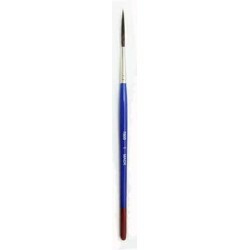 Buy Bobbo Super Quad Long Handled Pinstriping Brush Series-7800 size 1, these brush has adequate snap and flexibility other brushes don't have. 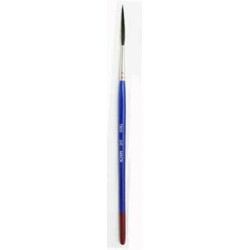 This allows the pinstriper, sign painter, or artist to use one brush for Bobbo Super Quad Long Handled Pinstriping Brush Series-7800 size 1four purposes without having to change brushes or color. The Bobbo Super Quad Long Handled Pinstriping Brush series-7800 size 1 have all the same attributes and capabilities of the Bobbo Super Quad Pinstriping Brush, just with a long handle. This brush, because of it's shorter bristles and fine blue squirrel-black synthetic hair mix makes scrolling easier and faster. Available in sizes 00, size 0, size 1 and size 2. Pricing or more information on Bobbo Super Quad Long Handled Pinstriping Brush series 7800 size 1 listed below. Pinstriping Brush Cleaning and Care: Always clean out pinstriping brushes well using the proper solvent or thinner for the paint you're using. Some cleaning agents that contain more than 5% Methanol can attack the glues for the threads holding the pinstriping brush hairs to the wooden handle, in simple terms, Methanol can ruin the brushes. After a good cleaning, store brushes used in oils or solvent in Brush Oil to keep the hair relaxed and to prevent any paint that is trapped in the hilt/ferrule of the brush from drying. 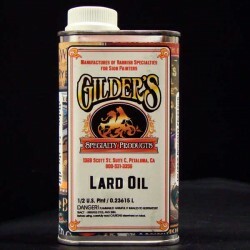 Brush oil can be cleaned out with Mineral Spirits, Turpentine and if need my may use Lacquer thinner before using the pinstriping brush the next time.